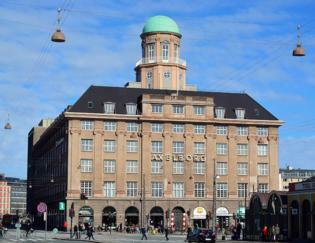 Axelborg, completed after World War I in 1920, is Copenhagen’s oldest office buildings, originally built for Den Danske Andelsbank and Arbejdernes Andelsboligforening (the Workers’ Housing Co-operative). The building is monumental and was, at the time of construction, the second largest building in Copenhagen after Christiansborg Palace. At the centre of the building is the marvellous Axelborg Room, which the bank used as its main offices. This is surrounded by six storeys of high-ceilinged offices and the building is topped by a characteristic tower, beneath which is an impressive rotunda with circular upper levels and lower balconies in an oval shape. Moreover, Axelborg features an old paternoster lift, which is an experience in itself and gives an idea of everyday life in the building in bygone times. Den Danske Andelsbank went bankrupt in 1925 and, shortly afterwards, Andelsforeningen also ran into problems. The two companies, which represented workers and farmers, subsequently parted. The property was then taken over by a group of agricultural organisations, and the farmers were now the sole occupants of the building. In 1928, the national broadcasting station Statsradiofonien (later known as Danmarks Radio – the Danish Broadcasting Corporation) became the new tenants. This was their very first sound studio where music was broadcast to several thousand listeners. The unrest during the 1930s and the ensuing problems affecting agriculture required extensive office space to contain all the paperwork involved. This meant that the agricultural organisations once again filled the offices of the building. Especially the new farmers’ bank, Dansk Andels- og Folkebank, was in need of more space and ended up moving back into the original banking hall in 1941. 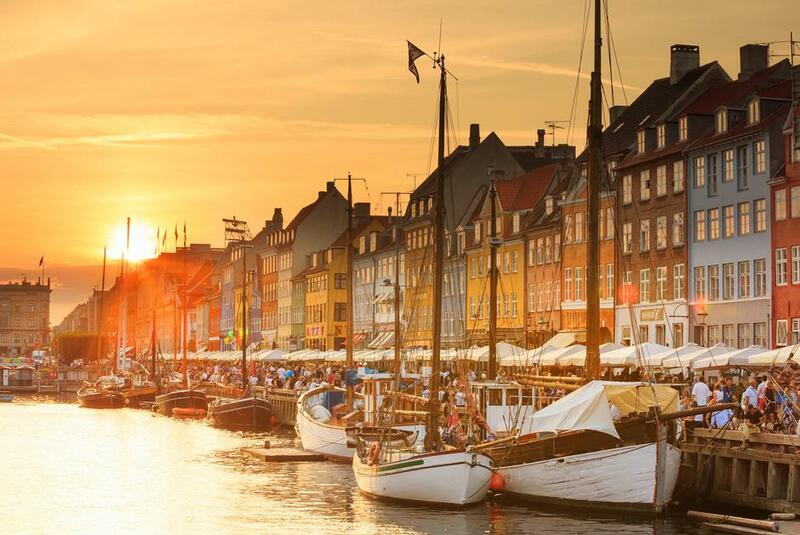 This year also saw Danmarks Radio move into new offices at Rosenørns Allé in Copenhagen. After merging with SDS and Privatbanken, Andelsbanken became Unibank – later renamed Unibank Axelborg Branch. As part of yet another merger, the bank changed its name to Nordea. In 2000, the Axelborg branch closed, and the head offices of Nordea on Vesterbrogade moved further down the street. 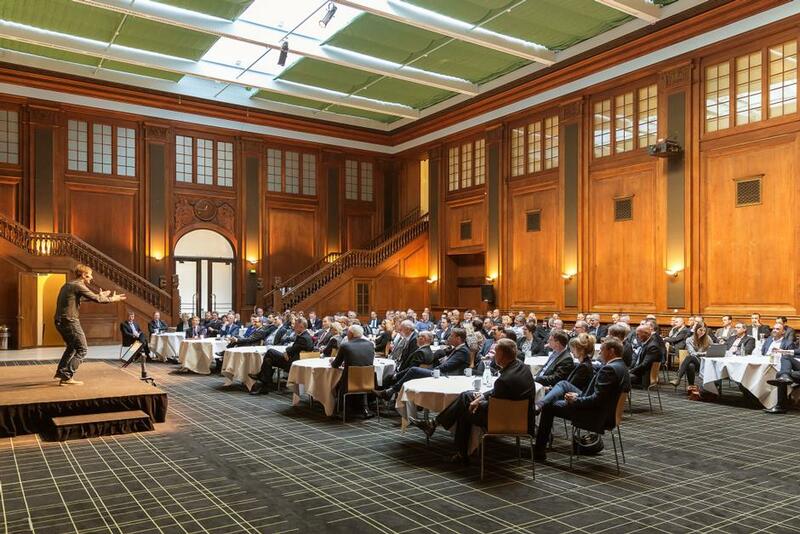 Bojesen took over the three lower floors of Axelborg in 2000 – including the impressive main hall and the former bank vaults, which have since been carefully restored and now house a conference centre. Today, Bojesen primarily uses Axelborg Room and the former bank vaults. Here, meetings, conferences, functions and other events are held on a daily basis.